Those who know their science fiction movies, a certain Fantastic Voyage might ring a bell when it comes to microscopic submarines. 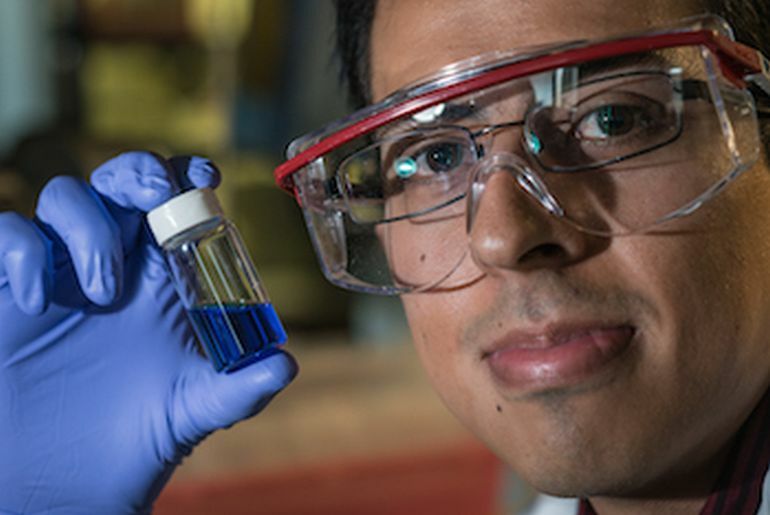 Well, Rice University scientists have trod a similar technological path by creating nanoscale submarines, each composed of a single contrived molecule with 244 atoms. On the motoring side of affairs, the single-molecule submersibles are powered by ultraviolet light. This translates to the motional activity of the motor’s tail-like propeller, with each revolution accounting for 18 nanometers of movement (a nanometer equates to one billionth of a meter). So according to the scientists, when the motors move over a million RPM, the nanoscale submarine can achieve top-speeds of around 1 inch per second – which is pretty impressive on the molecular level. 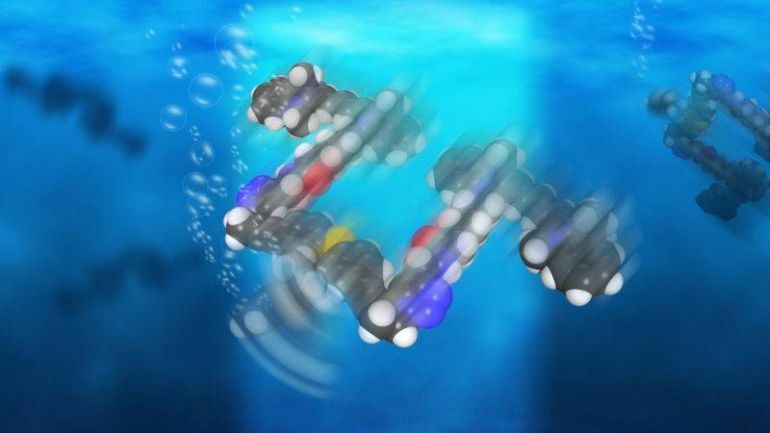 Simply put, these microscopic submersibles are the fastest-moving molecules ever seen in a solution! In terms of the working scope, the motors in question here are more akin to the functionality of bacteria’s flagellum, as opposed to a conventional mechanical propeller. Developed by a special chemical synthesis process, each of these motors completes a revolution by undergoing 4 steps. So when the molecule is excited by the incoming light, the double bond that attaches the rotor to the body morphs into a single bond, which causes a rotational motion for a quarter step. But as the motor demonstrates its tendency to return to a lower energy state, it jumps across adjacent atoms for another quarter turn. Now, while all of these motional attributes sound groovy, the nanoscale submarines do not yet incorporate any sort of steering mechanisms. However, in spite of their ‘blind’ nature, the below 10-nanometers microscopic submersibles were found to be powerful enough to scoot their way through ‘crowded’ solutions of moving molecules. According to Rice University chemist James Tour, this robust scope is similar to a person making his way across a basketball court in spite of a 1,000 people throwing basketballs at his moving body. Interestingly enough, previously scientists have been able to create microscopic machines with motors, including single-molecule cars contrived by Rice University researchers in 2006 – that came with their set of tiny wheels (four in number), axles and suspension components. But the predicament with most of these contrivances relate to environmental issues, given their disadvantage in using or producing toxic chemicals – much like conventional automobiles. However in this case, as we mentioned before, the ‘motors’ are concocted with the help of clean chemical synthesis. Lastly, the question naturally arises – would be the purpose of such speedy nanoscale submarines? Well, according to the researchers involved, with the concept being successfully proven, they would explore the potential future applications of such clean microscopic machines. And considering this vast and variegated ambit, one of the potential functions of such nanoscale submersibles can pertain to delivery of cargoes for medical and other purposes – within the intricacy of an organic system. The recent study was published in the American Chemical Society journal Nano Letters.